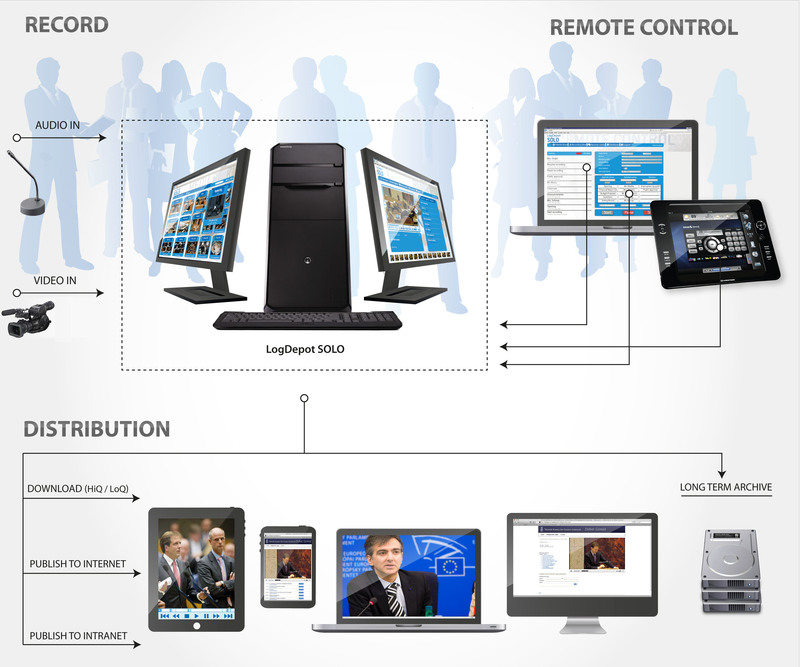 LogDepot SOLO is an easy-to-use solution for unattended recording of conference meetings and/or television programs. Positioned between the LogDepot Appliance and the LogDepot Enterprise, the SOLO offers the ideal mix between flexibility and efficiency. 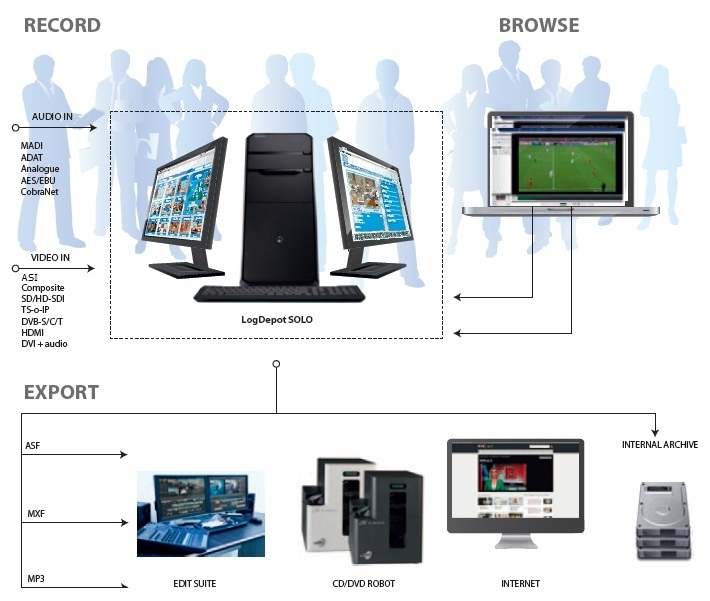 A SOLO system runs on one single PC system, allowing the recording of one meeting room of many broadcast channels. Each SOLO system is configured to the customer's needs providing a perfect-fit solution for each individual customer. Combine the SOLO with a Connected Views subscription, to build a complete professional web-publishing platform for both live streaming and Video-on-Demand!